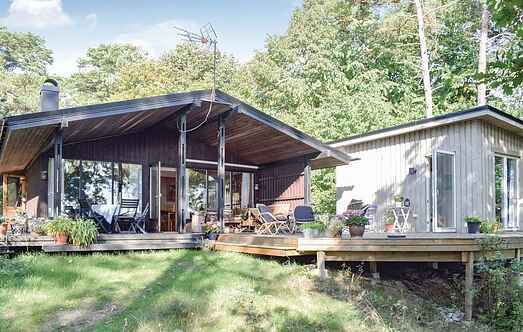 Find a vacation home to rent in Kristianstad Municipality from our list of vacation rental properties. Campaya has over 39 vacation homes available in Kristianstad Municipality, which give you the possibility to locate a unique accommodation in Kristianstad Municipality which completes your check-list in search for the perfect self catering vacation apartments in Kristianstad Municipality or vacation villas in Kristianstad Municipality. The house sits high on the plot in Yngsjö Havsbad, just 200 meters from the sea and the sandy beach. One of the two terraces is below the roof and has a glass wall. Great vacation home in 75 meters from the beach, fishing and the sea in Hanöbukten, Östersjön. A beautiful large terrace is out there at the house on the ocean side. Beautiful, renovated cottage with a fenced plot and found in a beautiful location. It is situated on Mount Linderödsåsen. The high location, you have a beautiful view of orchards. The beautiful house in Åhus is located on the east coast of Skåne. Sea and sand beach is reached after a few kilometers. Åhus is a popular place for vacation.